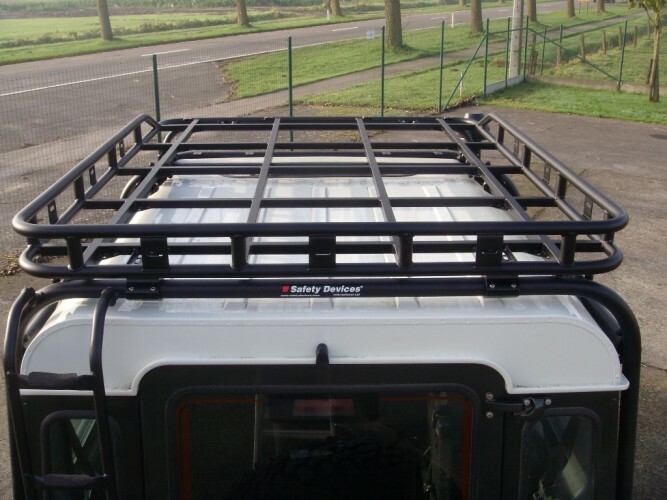 Long luggage rail 'Explorer' roof rack for mounting to Safety Devices roll cage. 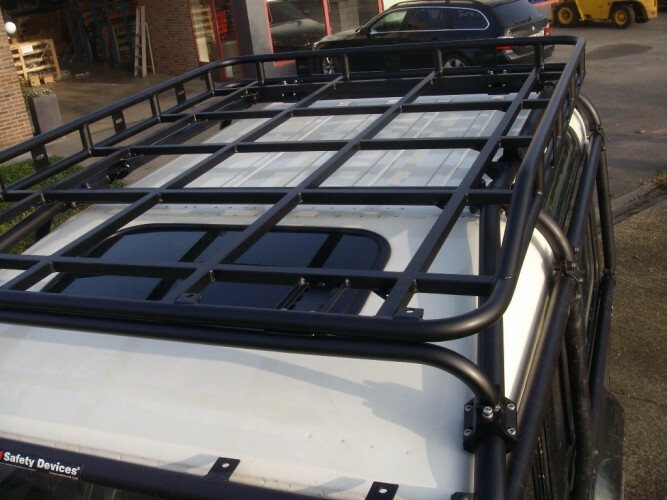 Shown in these photos mounted to Safety Devices external/internal roll cage, L172. Affixes to the roll cage with aluminium clamps. Available in two sizes: 2.0m x 1.4m and 2.8m x 1.4m. 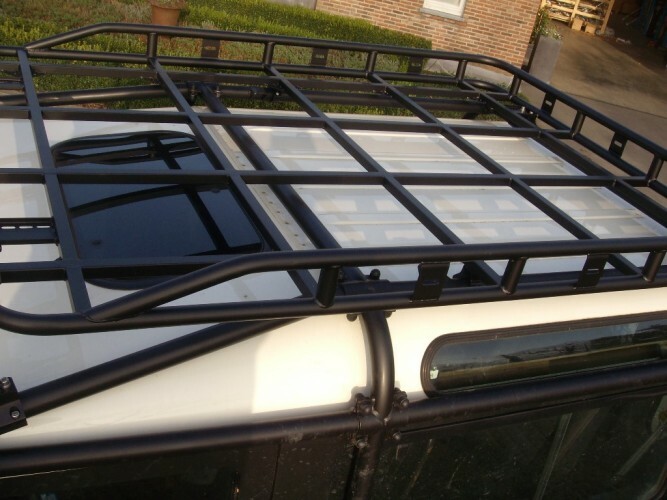 The luggage rails extends around 3 sides of the roof rack, leaving one of the shortest sides. 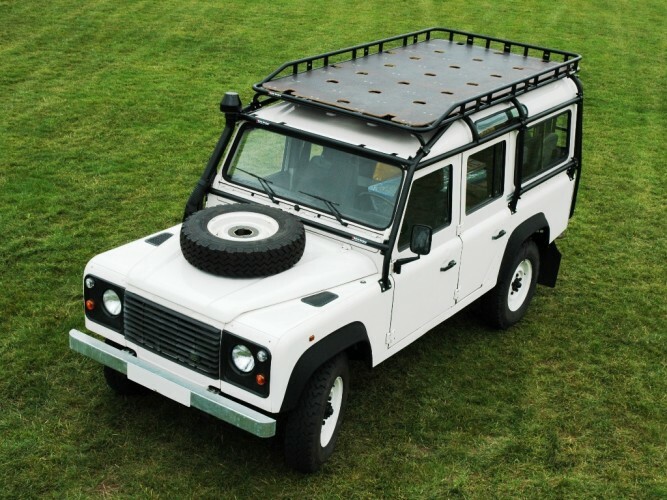 Depending on which way the roof rack is attached, a front or rear loaded tent can be affixed, although the tent should not be wider than 1 metre. 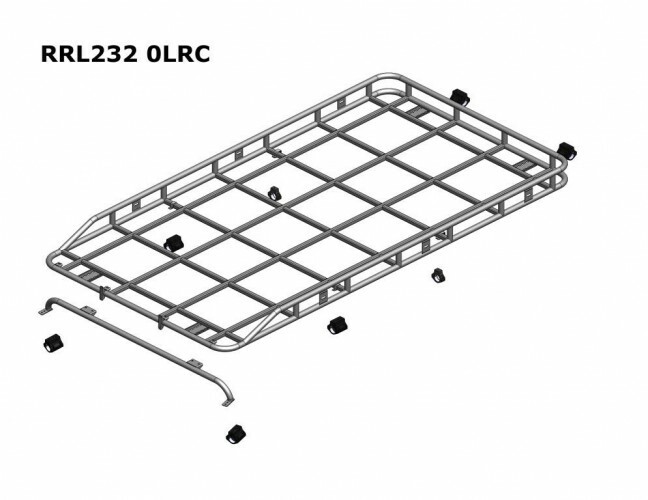 Also available as a short luggage rail version (for side loaded tents) and a full luggage rail version. Also available as a rain gutter mount version. 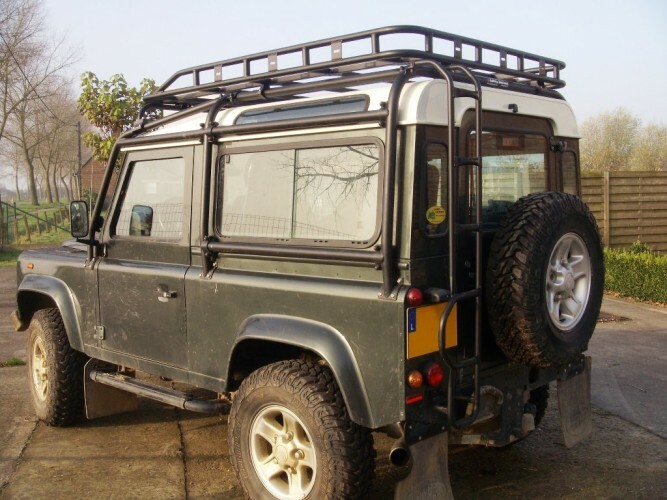 RRL229 0LRC - 2.0m x 1.4m 'Explorer' roof rack with long luggage rail, for mounting to external roll cage. 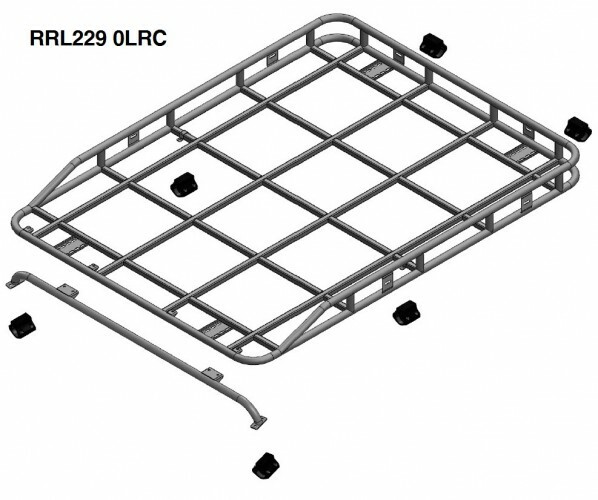 RRL232 0LRC - 2.8m x 1.4m 'Explorer' roof rack with long luggage rail, for mounting to external roll cage. 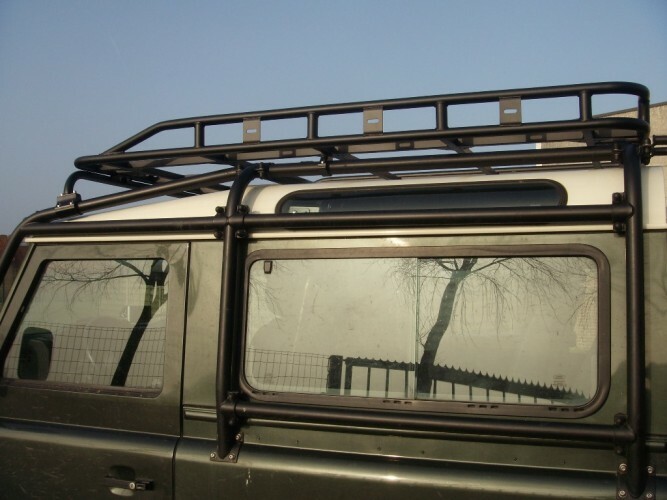 Roof rack can be converted in to a rain gutter mounted roof rack with the appropriate fitting kit. 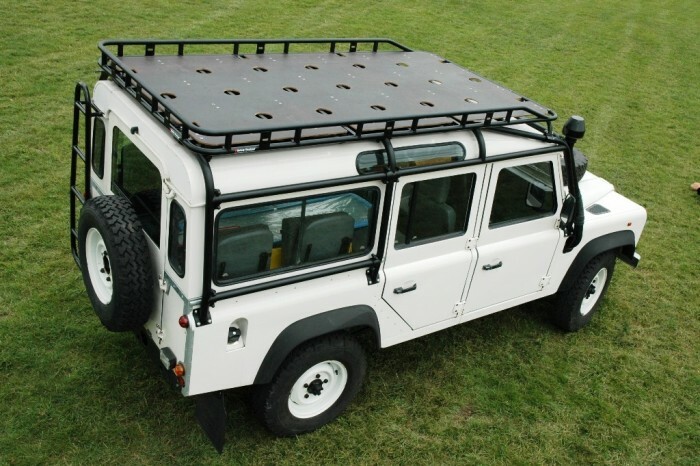 Standard pack includes a steel roof rack, clamps and fixing bolts.